The South San Francisco Cultural Arts Commission presents a multi-media, juried art show featuring work inspired by the traditions of Dia De Los Muertos (Day of the Dead), a joyful celebration honoring the life of deceased family members and friends. 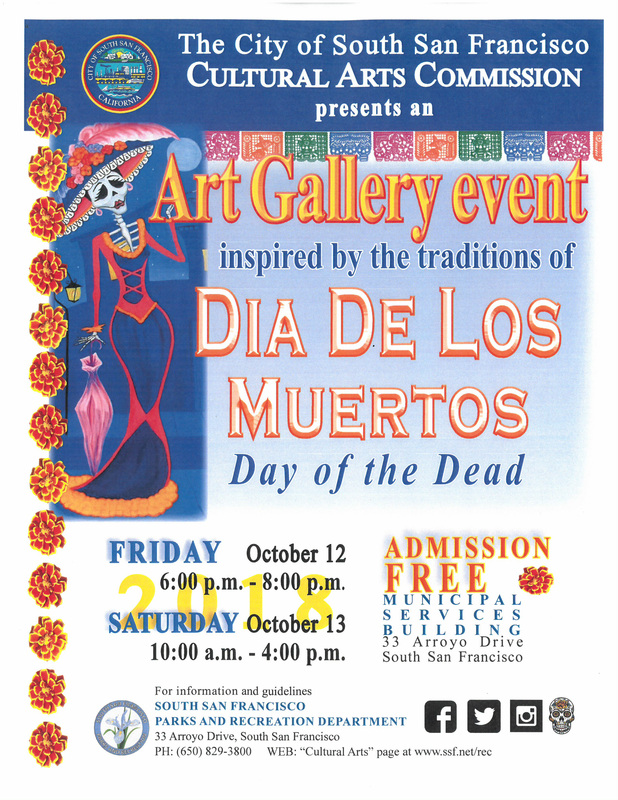 The family friendly event also features special exhibits by the SSF Childcare Division, and performing arts presentations by Pan de Vida Living Art Ensemble, SSF Recreation Department Mariachi and Ballet Folklorico students and Day of the Dead craft activities. 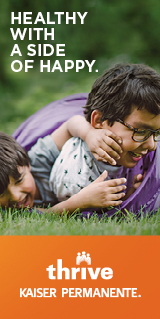 The event is open to the public, and there is no charge to attend. The 2-day show will open on Friday, October 12, 2018, from 6:00 p.m. to 8:00 p.m., and will continue on Saturday, October 13, from 10:00 a.m. to 4:00 p.m. The event takes place in the Betty Weber Gallery, at the SSF Municipal Services Building, 33 Arroyo Drive. For entry or other information, visit the Current Opportunities for Artists<http://www.ssf.net/departments/parks-recreation/recreation-division/cultural-arts/current-opportunities-for-artists> webpage at www.ssf.net/rec<http://www.ssf.net/rec>. Guidelines may also be obtained, during business hours, at the SSF Parks and Recreation Department office, at the Municipal Services Building, 33 Arroyo Drive. Phone (650) 829-3800 for further information.